Happy Valentine’s Day! 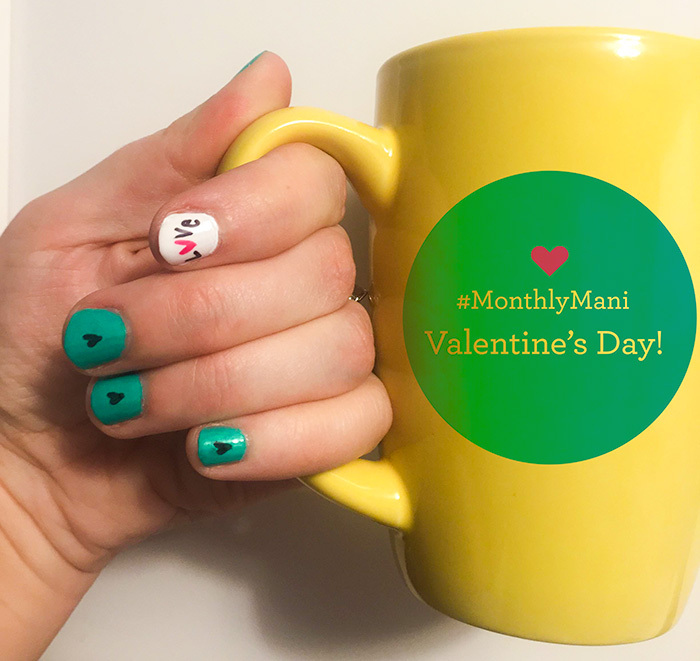 We decided to do a combined post this week since we are celebrating our blogiversary, Valentine’s Day and linking up with Fancy Friday! Happy Valentines Day kitties! 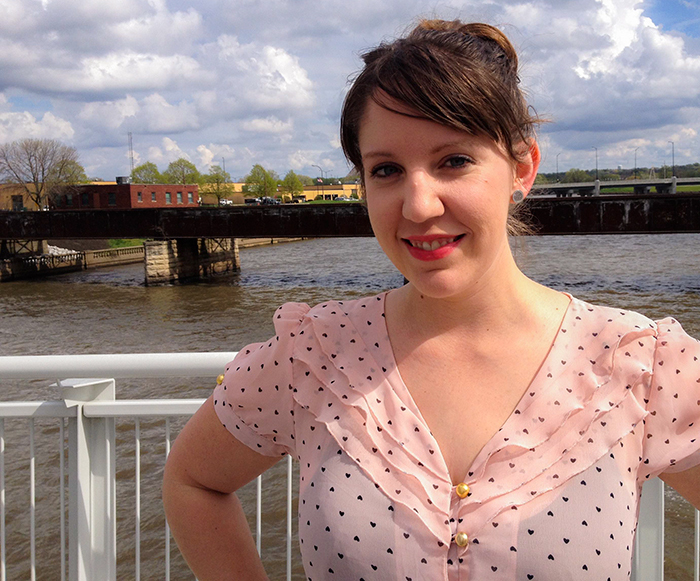 I love dressing up with a special occasion in mind, so I really had fun putting this outfit together. 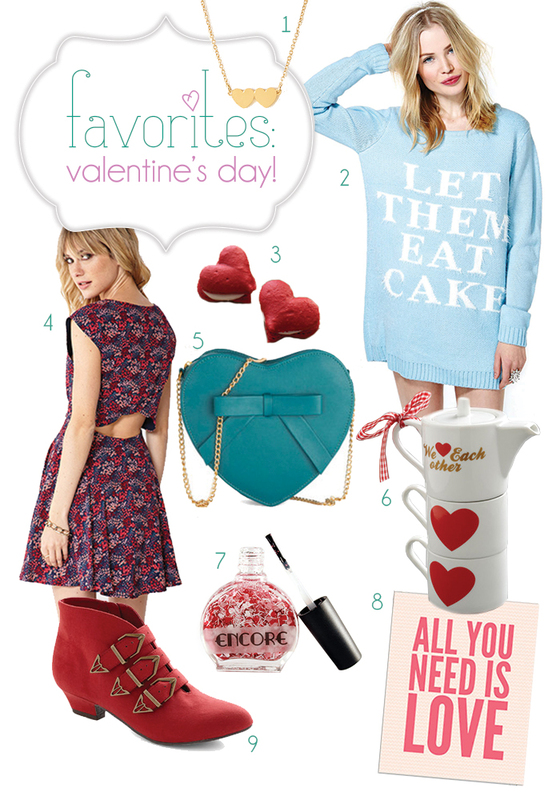 I pretty much grabbed a bunch of the most girly, lovey-dovey items in my closet, piled them on and voila! 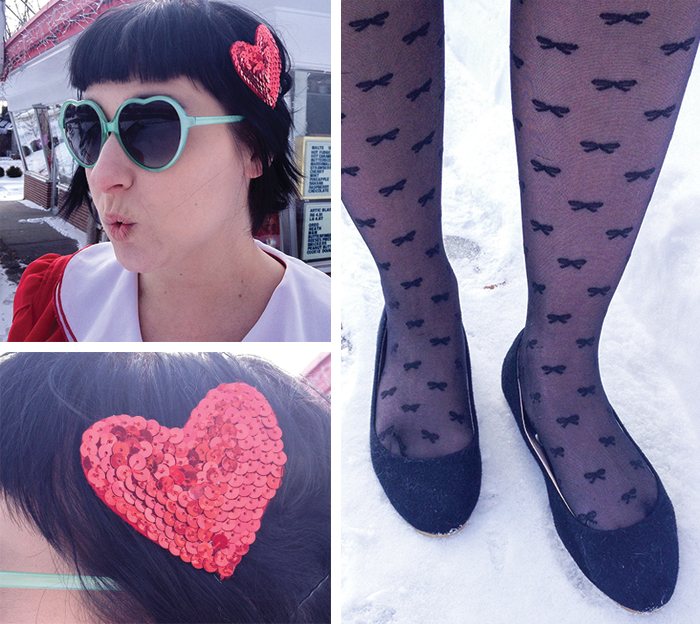 The heart in my hair is actually a shoe clip that Mar handmade me a few years ago for Christmas, and it so happens to double as a super cute hair pin! 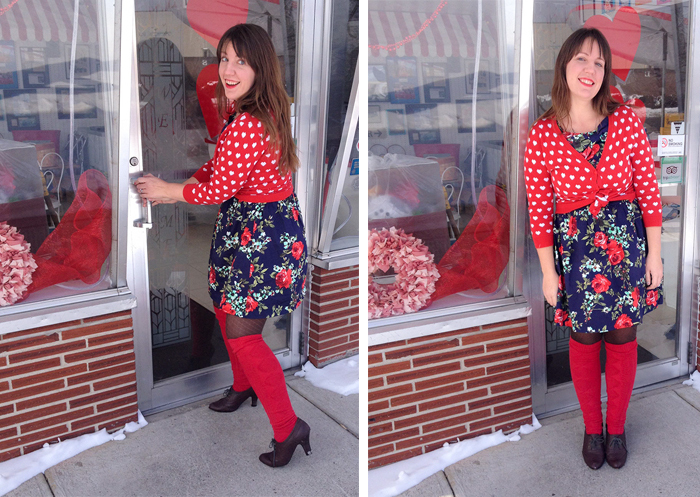 I was hoping to unearth some heart tights from the tights abyss in my closet, but when I came across these adorned with bows I was happy to avoid heart overkill. This dress is a real gem that I actually don’t wear too much. 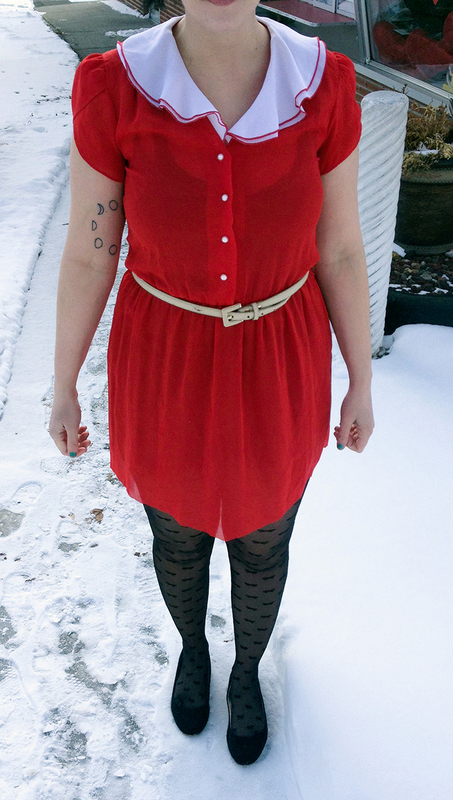 It’s very sheer and therefore not super practical for winter and also hard to pull off in summers sans tights. But this was the purrrfect occasion! I hope everyone is having a lovely love day whether with your partner, friends, family, or even just you doing you… Enjoy it! I think I might actually wear this cardigan every Valentine’s Day. I’ve had it forever, it’s warm, and… well, there are hearts on it! It’s a little long and I was losing the shape of my waistline so I decided instead of a belt I’d just tie it up. I love this dress! We actually featured it on our Favorites: Thanksgiving post and Mom got it for me for Christmas! Genius. 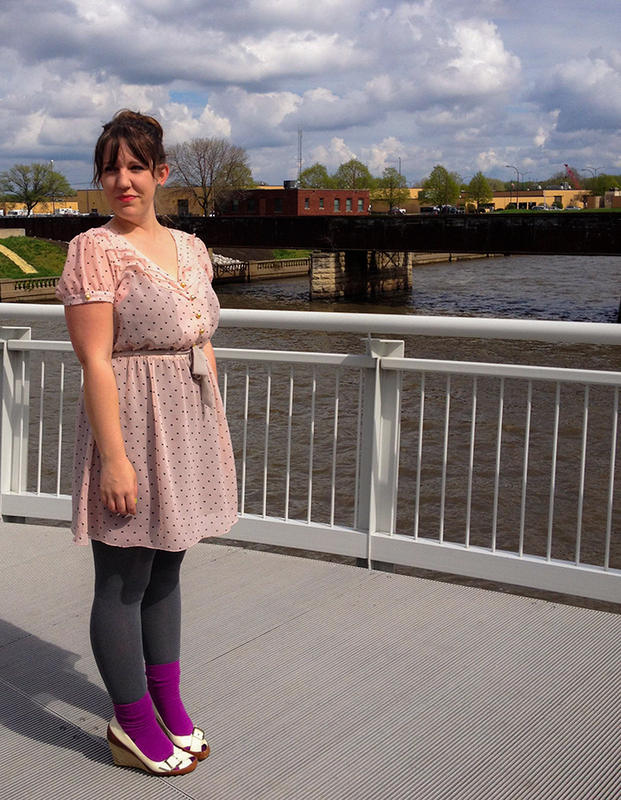 If it had a been a tad warmer out maybe I would have taken off the cardi so you could have seen the GIANT BOW on it. BOWS! I love ’em. As a bright-eyed college student I used to hate the commercialism behind Valentine’s Day, it’s owned by Hallmark, blah blah blah. I’ve since given up on all that because once you do, you open your world to presents, a fun date night, and PRESENTS! Joe spoiled me this year with some beautiful diamond earrings, and I spoiled him with a new record player! And tonight Joe’s mom is coming to babysit and we’re going on a lovely little date to Alba for dinner and then who knows what else? 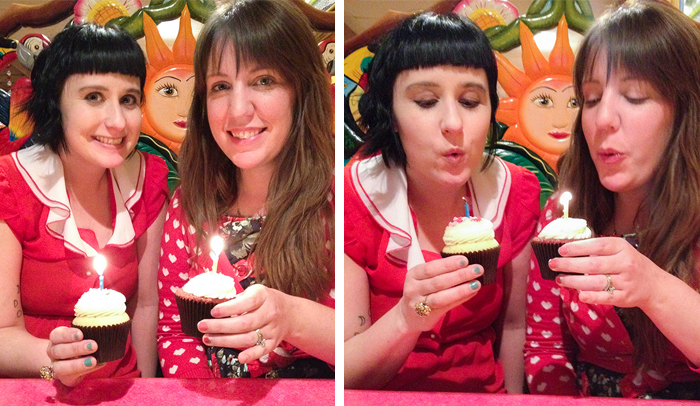 After we finished up our photos for this post, we hit up El Aguila, an amazing Mexican restaurant, for lunch and celebrated our Blogiversary with cupcakes! 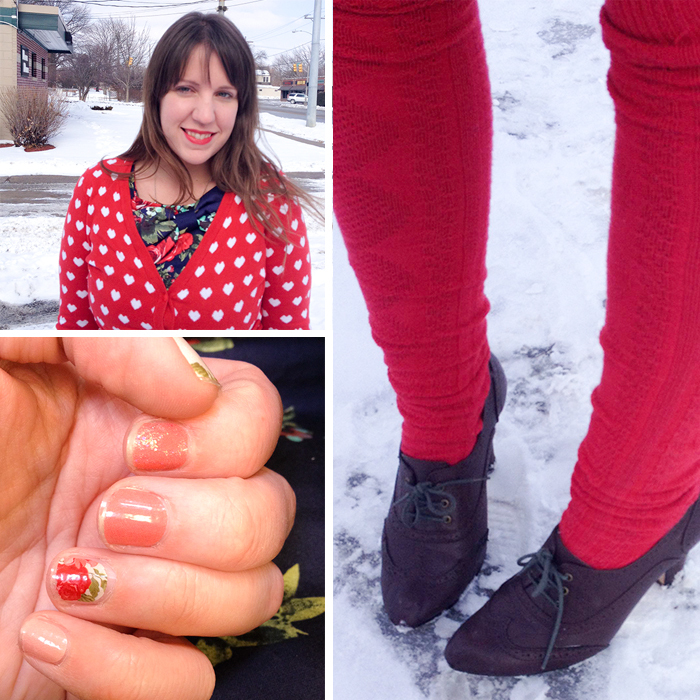 We’re linking up with Fancy Friday today! 1. Two hearts are better than one. 2. This is adorable on so many levels! 3. Chocolates are so passé! Send your love some macarons from your local bakery or make these! You won’t be sorry. 4. Guarantee yourself flowers on the big day with this cute cut-out dress. 5. Hearts come in all colors. 6. 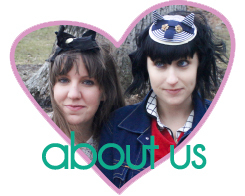 Share some tea with your lover, your BFF or even have a tea party with your imaginary friend! 7. 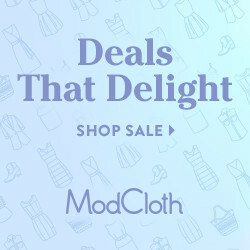 The most subtle way to celebrate V-Day? 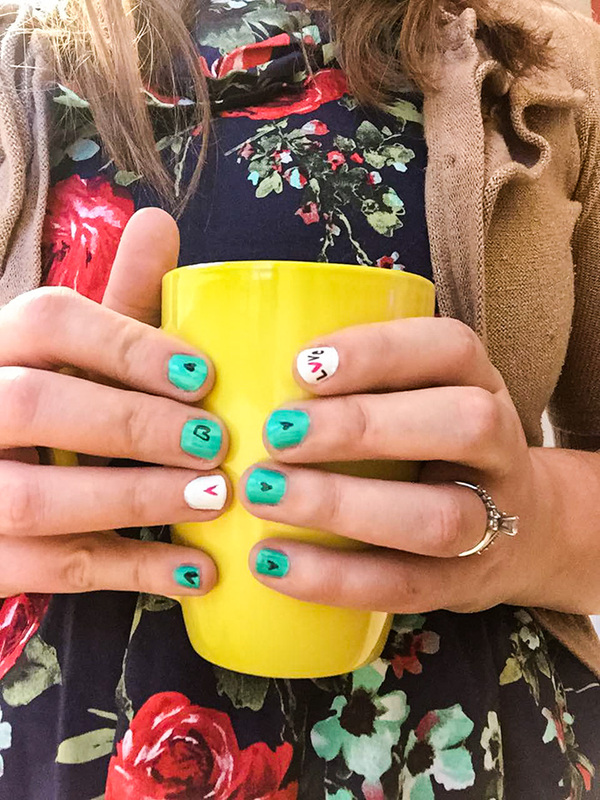 Heart nails! 9. 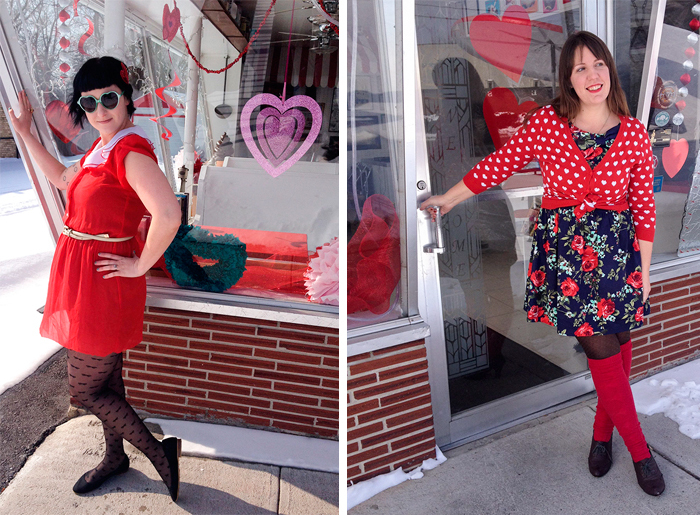 Don these fire engine red booties and spark some love. Happy Valentine’s Day! We ❤ you. 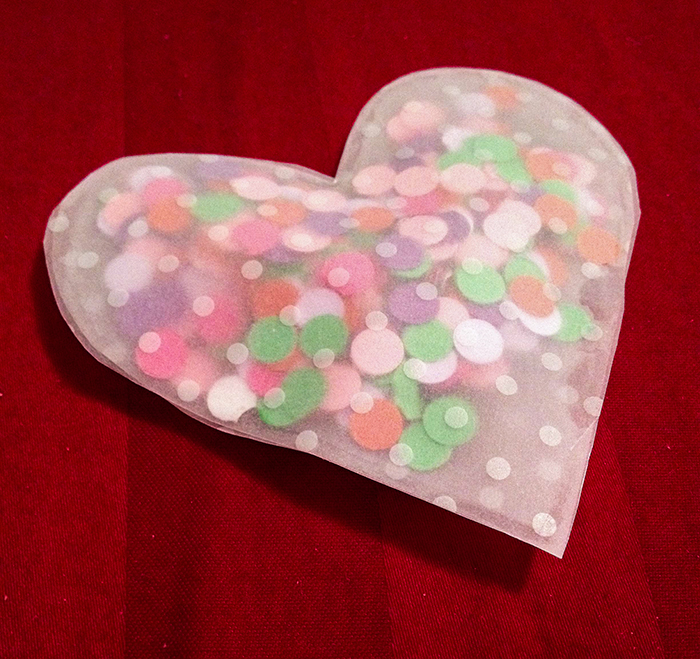 For Jessi’s wedding, we agreed that confetti would be so fun to throw after the ceremony. I searched high and low for a fun way to hold the little morsels. 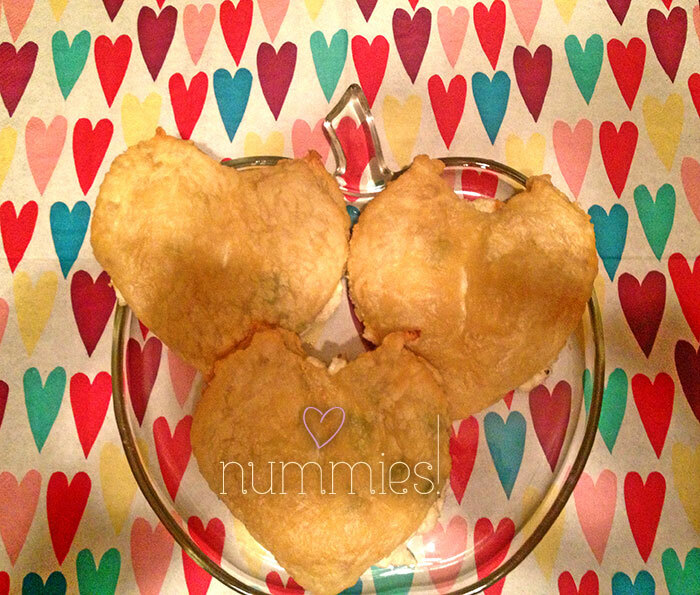 This post on Ruche’s blog was perfect because guests could just rip open the little hearts when they’re ready and throw. 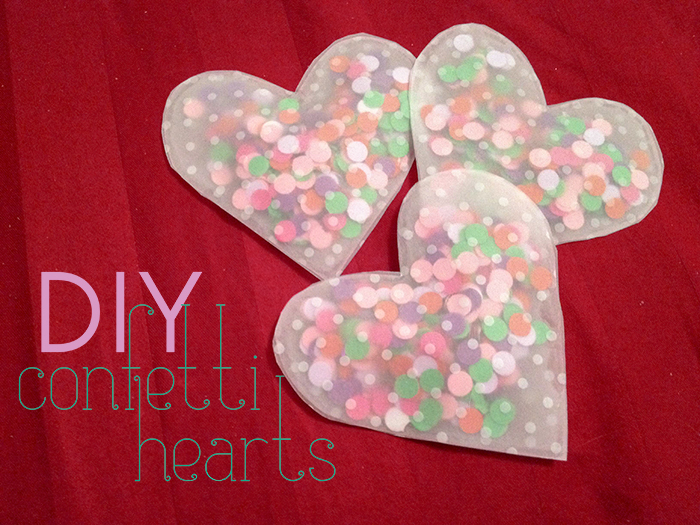 I didn’t want to put as much effort into it as that post, though, so without further ado, here’s my super easy way of making confetti hearts! 1. 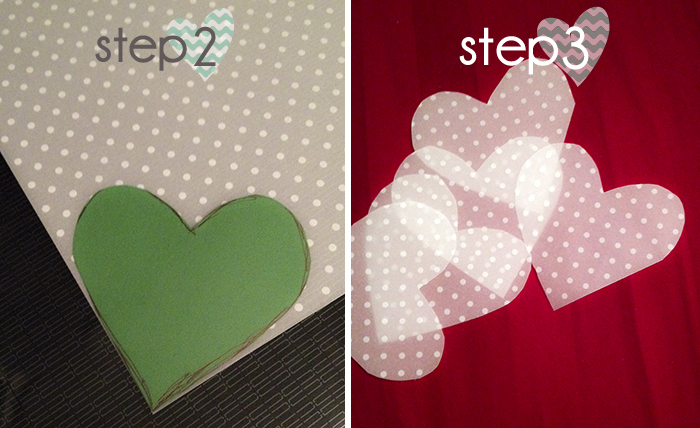 Make a heart template by drawing a heart and cutting it out on a separate piece of paper. I used a green piece of construction paper. 2. Place your heart on the vellum and cut your hearts out. I didn’t trace around the template because I didn’t want any sort of pen mark to show since it’s transparent. 3. 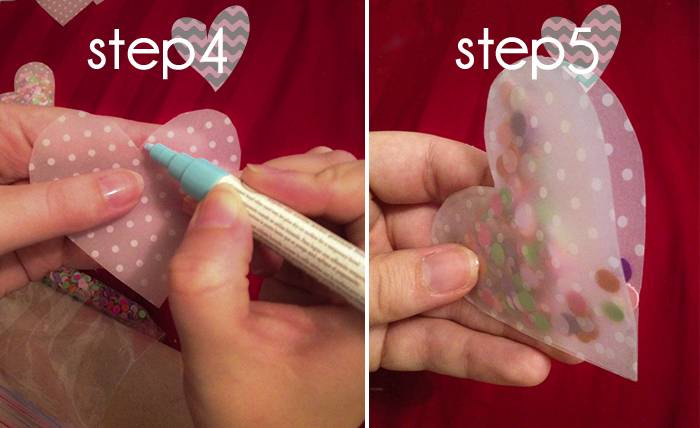 Using the glue pen, draw around each heart edge, leaving part of it unglued so you can put in the confetti. 4. Place another heart on top of the glued heart. 5. To put the confetti in the heart, I found it useful to stick a finger or a pencil or something in the heart to sort of balloon it out a bit. Then just dump in the confetti! 6. Glue the seam shut. Repeat! • Make your hearts pretty large, otherwise you won’t be able to stick much confetti in each one. I’d suggest about 8 hearts per 12 x 12 sheet of vellum. The hearts shown here aren’t that big but I wish they were! • Don’t overstuff your heart or the seams will start bustin’ out and it’s pretty annoying. • I also tried a glue stick and scrapbook adhesive. The glue pen worked the best; if you have a steady hand and more patience than me a glue gun would work. I have to admit that in the end, we are using these little hearts as decoration on the dessert table instead because a) they are cute without ripping them open and b) I ran out of time to make enough for all the confetti we had! On this particular day I was in one of those moods where everything I put on was just wrong, wrong, wrong. You know those days? And then in the far reaches of my closet I glanced at my little hearts dress and everything was right in the world. I love this dress mainly because I wore it to one of Jessi & John’s Christmas parties and I had so much fun that night that every time I wear it I think of it. Anyway, I’ve been searching high and low for the perfect socks to wear with heels. I found this pretty purple pair at Target and I honestly do like the trend. I know it’s not for everyone, but here’s why I think you should try it: it adds a certain daintiness to any look plus your feet stay warmer! On a day like this, when you wake up to 55 degrees and windy, you need a little extra warmth on your tootsies if you want to parade around in a darling pair of heels. 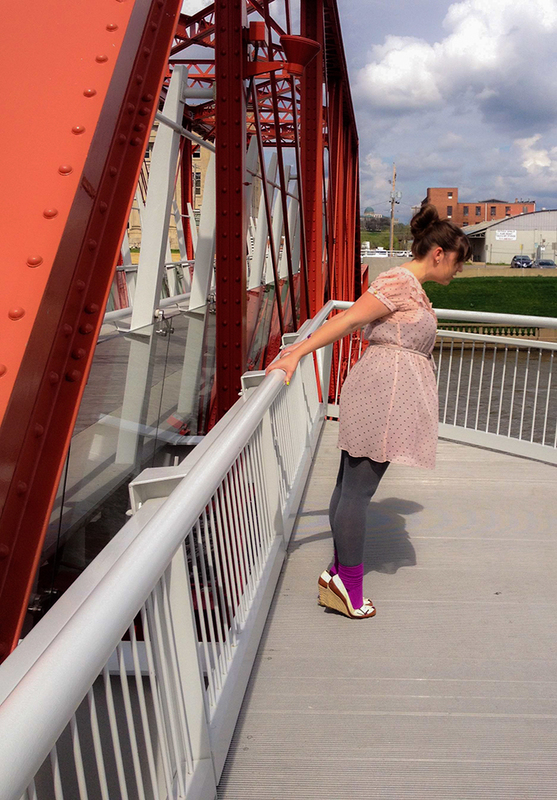 Jessi, Charlie and I went to one of the many bridges over the Des Moines River. The clouds suddenly parted, the sun said hello, and we took advantage it. 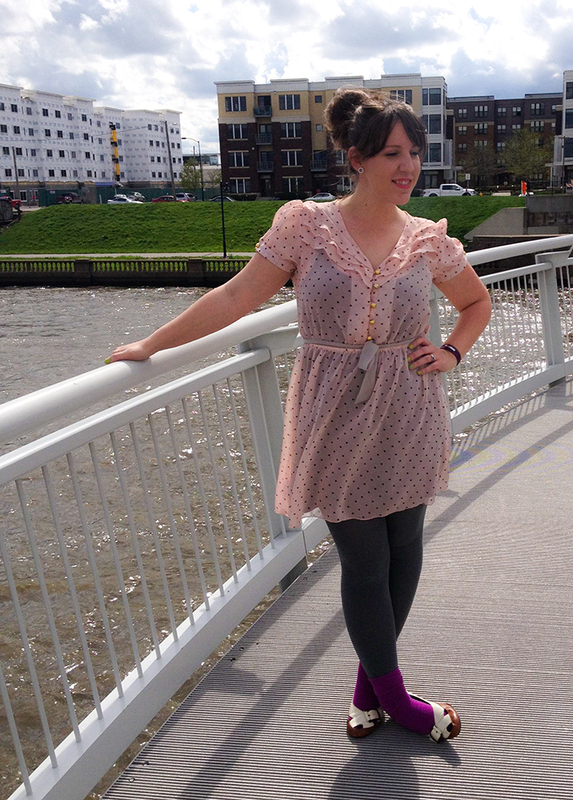 I love easy, breezy days! 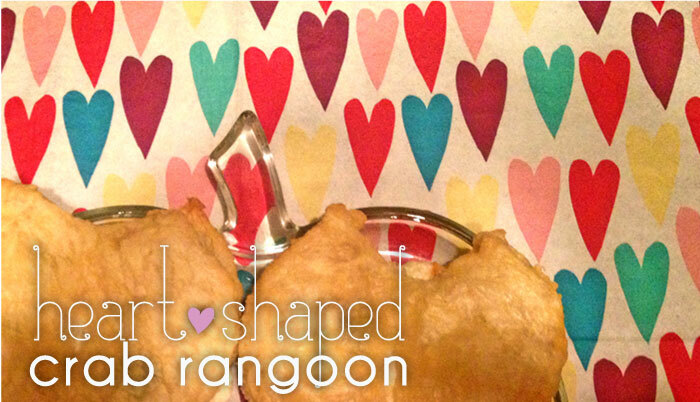 Crab Rangoon + Mini Pies. What’s not to love? 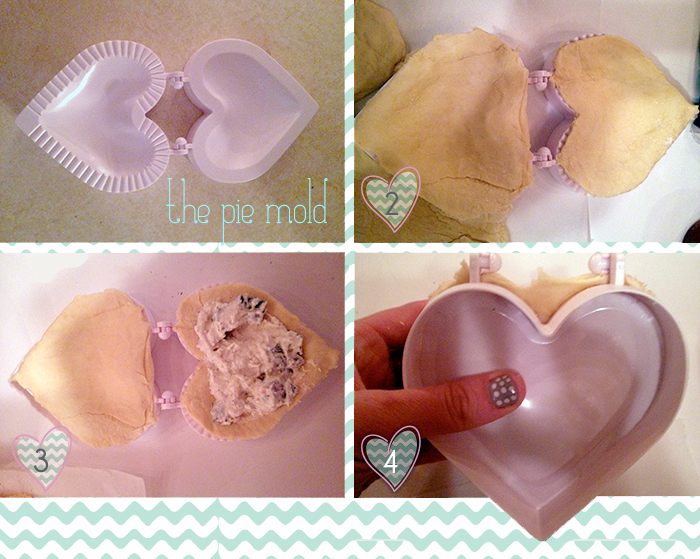 I picked up this mini pie mold from Target around Valentines day and thought for a long while about what to make first. Crab rangoon is one of my all time favorite foods and something I’d never tried to make before. While these aren’t traditional crab rangoons they taste darn close to the real thing. And guess what, they’re easy and delicious! I like to keep things simple, especially when trying out a new recipe. I used packaged puff pastry because A. it’s easy and B. I always have puff pastry in my freezer. But if you have a go-to homemade pie crust or want more of a challenge I say go for it! 1. Mix together cream cheese, green onions, crab meat and pepper in a bowl. 2. Roll out the puff pastry on a floured surface. Press puff pastry to each side of pie mold. Use a sharp knife to trim off excess pastry around the edges of the mold. 3. Fill one side of the mold with about 1/4 cup cream cheese mixture. You want the pie to be nice and full, but not so much that it will overflow while cooking. 5. Open the mold and voila! The mini pie should fall into your hands. Once removed, press around the edges to ensure the pie is secure and no filling will seep out during baking. 6. Bake on a cookie sheet at 350 for 10-15 minutes, or until your mini pie is puffy and golden brown. These are delicious served with a side of sweet and sour sauce or on their own. Also, they’re just as good cold as they are hot. Success! I bought this black sequin tank dress for New Years Eve and love it, and was looking for a chance to wear it again. I realized pretty quickly that it was a little too sparkly and fancy for dinner and a movie, so I opted to wear the purple peplum dress over it. Dress over dress = problem solved! I’m also physically unable to go to the movie theater without a sweater (why is it always SO COLD?) 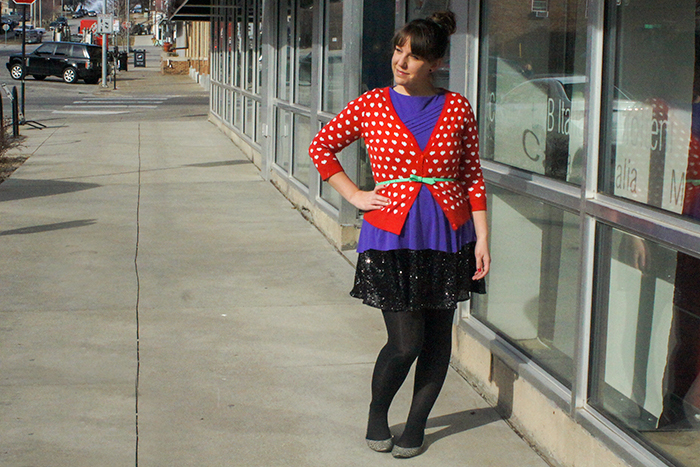 so I threw this little heart cardi over it all. Joe and I had a lovely date. Shockingly I wasn’t ready for bed after the movie and we even hit up a bar near our house. Whenever Joe and I get any time to ourselves we usually just end up talking about Charlie, our 15 month old son. This time was no different. Oh, such parent nerds! Keep coming back, dear pretty kitties! Later this week we have Jessi’s outfit of the day which includes some fun heart-shaped sunglasses and a darling ruffly plaid top.